Since its founding in 1957, the Wisconsin Rapids Serra Club has had many remarkable members. Among them is 100-year-old Al Habel, who has generously given of his time, talent and treasure for the past 60 years. He has contributed countless hours during our fundraisers and meetings and, until recently, was the club historian. He dedicates his work “to the encouragement and support of vocations to the priesthood and religious life,” under the patronage of St. Junipero Serra. 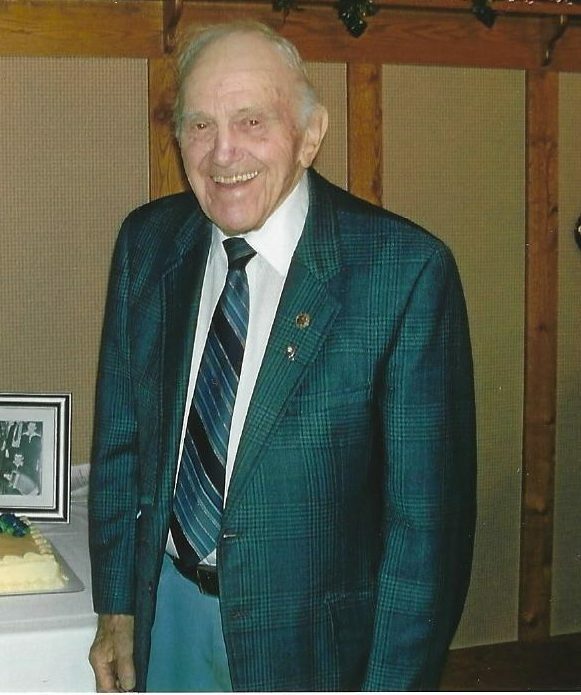 Albert J. Habel was born on Dec. 23, 1917, at a logging camp in Phillips, Wis. He was the second oldest of three brothers and a sister, all of whom have since passed. During this period, he met Kathryn O’Hearn from Brownsville, Wis. They were married in 1942 and made their home in Lomira, Wis. In the subsequent years, they welcomed two children. Unfortunately, his beloved Kate passed away in 2010 after 68 years of marriage. Al might be a man of few words, but his folder full of volunteering awards speaks volumes about him. Al might be a man of few words, but his folder full of volunteering awards speaks volumes about him. He received the President’s Volunteer Service Award in 2008 for volunteering more than 4,000 hours during his lifetime. He has been given numerous awards year after year for his many, many hours given to his Church and community. In 2007, Al earned the William L. Eimers Volunteer Excellence Award for 2,500 volunteer hours in Catholic Family Life Insurance’s Volunteer Recognition Program. Why does Al volunteer? “It makes me feel good, and am thankful I can do it.” For Al, it is not about the awards or recognition, it is about other people and how he can help make their lives a little better. He is a gentle man who has given of himself what many of us only wish we could. Al is an asset to our parish, community and Serra International. Thank you, Al, for being a part of all of our lives and an inspiration to people everywhere.